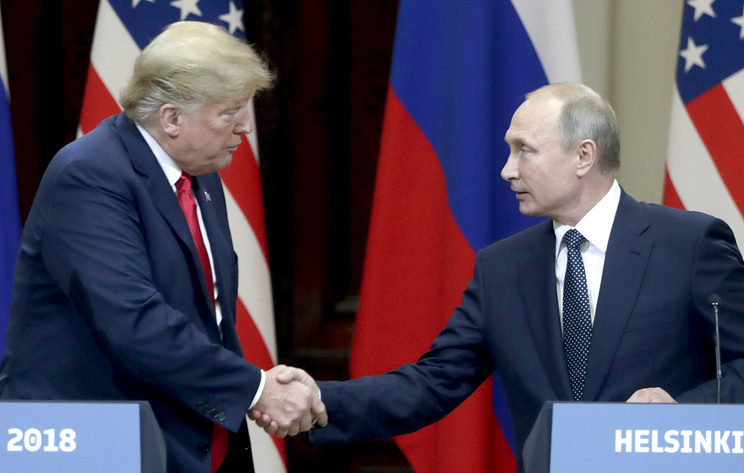 The Russian president said a meeting with his US counterpart is very much needed, especially "in connection with issues of strategic stability"
BUENOS AIRES, December 1. /TASS/. Russian President Vladimir Putin has said that he sets no preconditions for a meeting with US President Donald Trump. "We do not set any preconditions because the issues we need to discuss are very important for us and for the rest of the world," Putin said after the G20 summit. 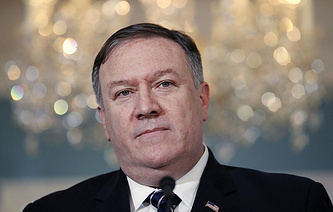 "Issues of strategic stability are on top of the agenda, meaning that they are followed by questions of non-proliferation of weapons of mass destruction," he added. The Russian leader added that he does not think that US President Donald Trump is afraid to meet with him. "I don't think that President Trump is afraid. 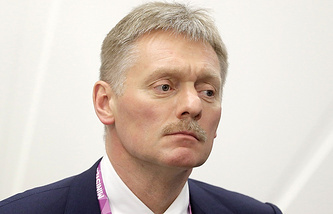 He is a person with strong character and a lot of experience," Putin said in response to a TASS question. "Regarding cancellation of agreements [to hold a meeting between the Russian and US presidents in Argentina], the initiative was in fact put forward by the US side," he reminded. The Russian leader also mentioned another cancelled meeting with Trump that was planned for November 11 in Paris: "We cancelled this meeting because we did not want to disrupt the schedule of the events pertaining to commemoration of the First World War Armistice and to create problems for the hosts and their 90 guests - heads of governments and states." "We rescheduled it for [the G20 summit] Buenos Aires but then unfortunately faced the provocation in the Black Sea. 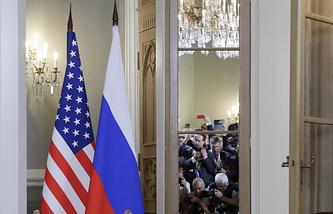 It seems like the US side decided to not hold this meeting because of it," Putin said. "It is unfortunate that we can't hold a full-format meeting. I think it is very much needed, in connection with issues of strategic stability, especially after the [US] president announced that the United States plans to withdraw from the Intermediate-Range Nuclear Forces Treaty," the Russian president noted. He reminded that "the New START [Strategic Arms Reduction Treaty] expires in 2021, which concerns the most serious strategic weapons." "Moreover, we also said repeatedly that it is necessary to restore trade and economic ties, cooperation in other spheres, including on hot spots such as Syria, Afghanistan, North Korea - which is a big problem for everybody," the Russian president said. "Dialogue on all these topics is needed. We are not the only ones interested in this. It is important for other countries as well, including for the United States," he said. Putin hopes that his meeting with Trump will take place whenever the US president is ready for it. "I hope that the meeting takes place eventually when the US side is ready for it," he concluded. The Russian president said he had a brief conversation with Trump at the G20 summit in Argentina. Putin explained to Trump his view of the incident in the Black Sea even though Trump has a different position on the matter. "We talked with President Trump, so to say, 'on the go' since everybody talks with each other there [at the summit]. I briefly answered his questions about the incident in the Black Sea," Putin said in response to a TASS question. "Trump has his own position on these issues, problems. I have my own. We did not change each other's opinions but at least I informed him about our vision of this incident," he added. He noted that foreign leaders found it hard to counter his arguments on the incident in the Kerch Strait. "We informed [foreign leaders] about how the situation unfolded [with Ukrainian Navy ships violating Russia's state border in the Black Sea]. It is hard to counter that," Putin told journalists. He said that one of the arguments impossible to counter is the mark in a logbook of one of the detained Ukrainian Navy ships that states the task of covertly entering Russia's territorial waters and passing through the Kerch Strait. "This was a planned provocation, this is what it was," Putin said adding that seized documents and testimonials of detained sailors confirm this conclusion. The Russian president said his colleagues at the G20 summit reacted calmly to this information. Putin refused to try to assess whether he managed to convince foreign leaders. Russian President Vladimir Putin has said that foreign leaders found it hard to counter his arguments on the incident in the Kerch Strait. "We informed [foreign leaders] about how the situation unfolded [with Ukrainian Navy ships violating Russia's state border in the Black Sea]. It is hard to counter that," Putin told journalists. The Russian side described the incident as a provocation. The Ukrainian authorities declared martial law. The EU and NATO called for de-escalation of the situation.